Schalke Sporting Director Christian Heidel has challenged Sebastian Rudy to step up his game if he wants to stay on the field longer. The 16million euro signing from Bayern Munich last summer was withdrawn from Saturday’s Bundesliga clash with 30 minutes to go and was none too pleased and showed that on leaving the field. Heidel says the 28-year-old German international midfielder needs to improve and should act in a more professional manner when he is brought off the pitch. ‘The guy is not 18 years old. This has also happened to others. 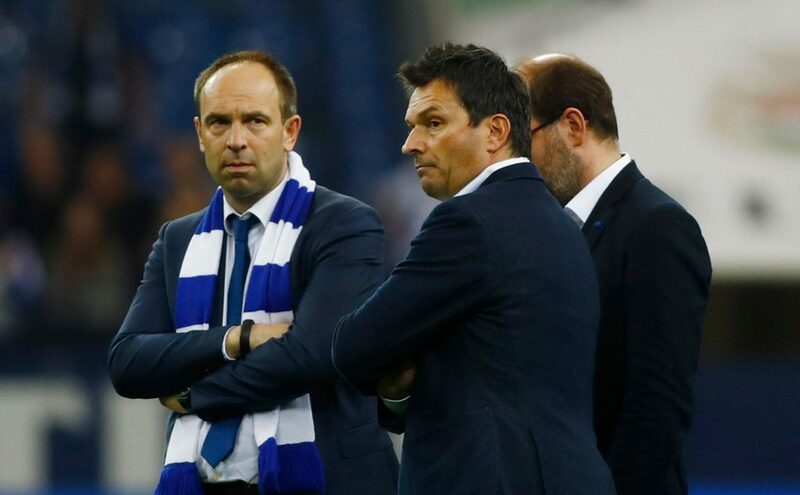 That’s just something he has to go through,’ Heidel told Funke Sport. ‘He simply needs to play better football. I don’t suppose Sebastian has too little passion. But he has to bring more power to his game. That’s a bit easier in Munich with 60 percent possession.